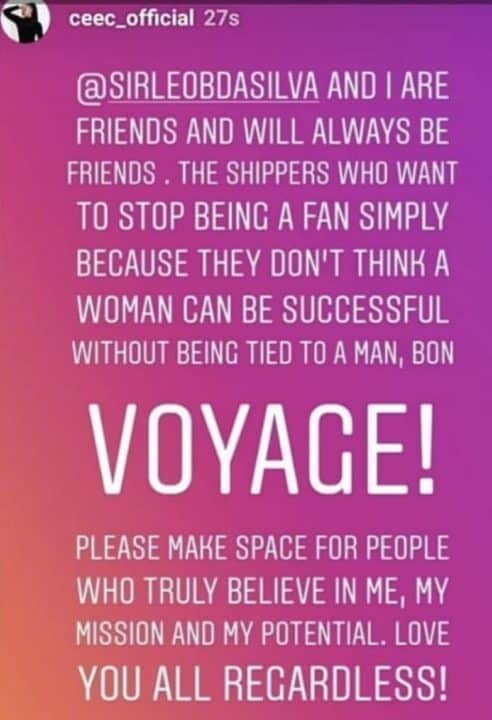 Big Brother Naija star,Cee-C has finally put a stop to dating rumors surrounding herself and fellow contestant, Leo DaSilva. 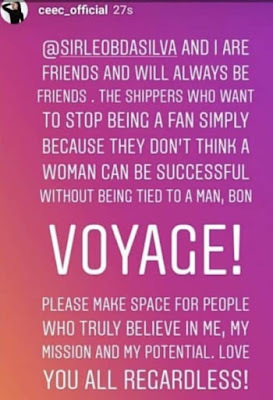 She wrote: “Sir Leo and I are friends and will always be friends.The shippers who want to stop being a fan simply because they don’t think a woman can be successful without being tied to a man,Bon voyage! Please make space for people who truly believe in me ,my mission and my potential .Love you all regardless”.